This is the third ceasefire violation in the last four days when Pakistan has resorted to heavy firing and mortar shelling in Chiti Bakri in Chingus area of Jammu and Kashmir's Rajouri sector. 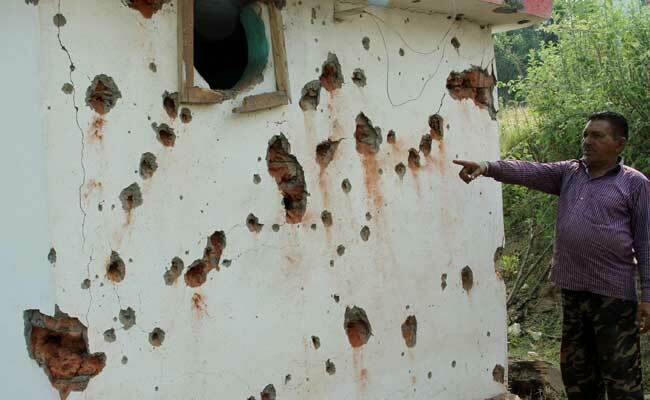 Jammu: In a fresh ceasefire violation today, Pakistan resorted to heavy firing and mortar shelling in Chiti Bakri in Chingus area of Jammu and Kashmir's Rajouri sector. The firing started early in the morning in which Pakistan targeted Indian posts with automatic weapons and long range mortars. The heavy shelling caused massive damage to buildings forcing evacuation of over 1,000 residents living close to the border. This is the third ceasefire violation in the last four days. There have been 271 ceasefire violations in the last one year. The Indian Army is giving a befitting response to Pakistan. Earlier on Saturday, two persons were killed and three others were reportedly injured in indiscriminate shelling by Pakistan in the Nowshera sector along the Line of Control (LoC). "Pakistan Army initiated indiscriminate firing and shelling on our positions on the LoC in the Rajouri sector. The Indian Army posts are retaliating strongly and effectively. The firing is presently on," Defence Ministry spokesman Lieutenant Colonel Manish Mehta said. "Heavy shelling started in Manjakote area of Rajouri at 6.20 am. More than seven villages have been affected. Till now 259 families have been evacuated from three villages," Deputy Commissioner, Rajouri, Shahid Iqbal Choudhary said. So far, three camps have been made operational and 28 others notified in wake of expected migration from affected villages, Mr Choudhary said. Six ambulances have been pressed into action and one mobile medical unit is stationed at Nowshera, he added. Around 120 officers from various departments have been deployed to organise facilities at relief camps. Meanwhile, 51 schools in Nowshera sector have been closed for an indefinite period while 36 in Manjakote and Doongi zones will remain closed for three days. 4,600 students study in 87 schools, he added.